The latest World Economic Forum Global Competitiveness Report reveals the world’s most competitive economies – and there’s a familiar face at the top of the rankings. The Global Competitiveness Index assesses the competitiveness of 138 economies around the world. 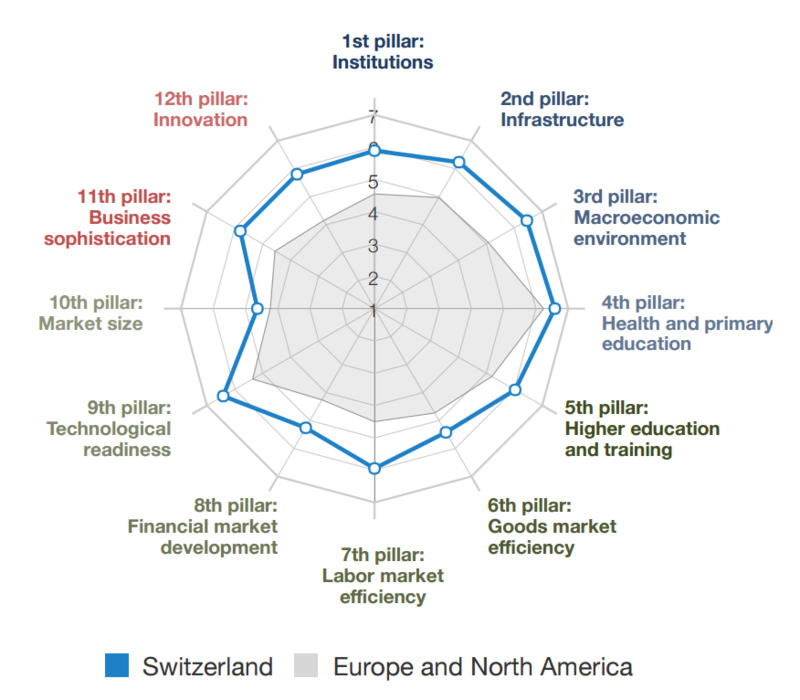 Switzerland tops the ranking for the eighth consecutive year. 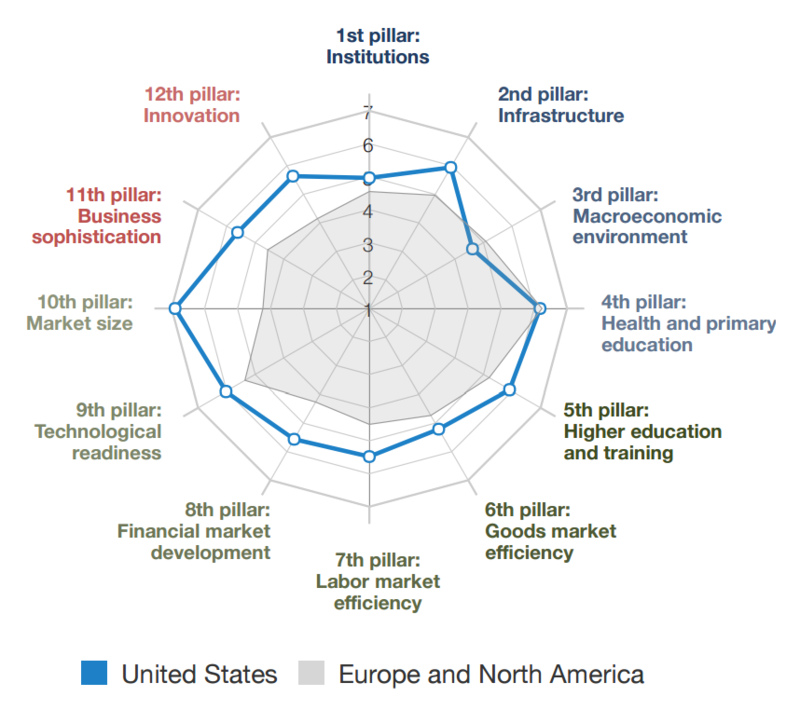 It comes in the top 10 in 11 out of 12 pillars of competitiveness, and tops four: innovation, business sophistication, labor market efficiency and technological readiness. Singapore takes second place behind Switzerland for the sixth year in a row. 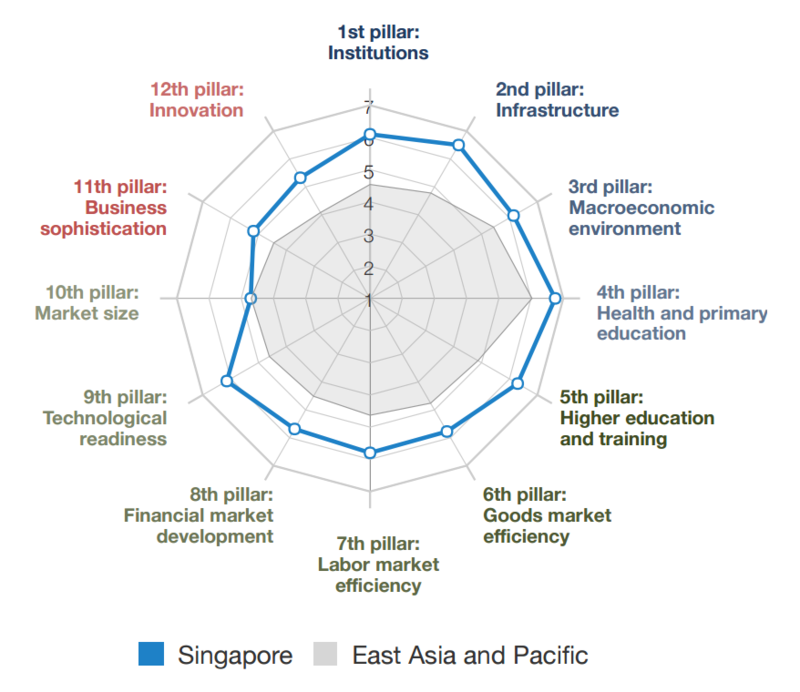 Strong infrastructure, higher education and training, and goods market efficiency propels the Asian nation to its high ranking. The US is in 3rd, a position it has occupied since the 2014-2015 report. Innovation, market size and financial market development are among the areas of strength. The rest of the top 10 is dominated by European economies, with Japan and Hong Kong also featuring in 8th and 9th respectively. Who is the fastest riser? This year’s report highlights the slow global growth environment and increased uncertainty experienced by economies around the world. However, some countries have managed to make significant rises up the ranking since last year’s report. India has risen the highest, climbing 16 places in the last year, while Albania and Jamaica also recorded double digit gains. The Dominican Republic, which has been actively building its competitiveness agenda over the last year, is also on the list of fastest climbers. What impact will Brexit have on the UK’s competitiveness?